The award was presented at CutisPharma’s celebration of its upcoming launch of FIRVANQ™, recently approved by the FDA for the treatment of Clostridium difficile associated diarrhea and enterocolitis caused by Staphylococcus aureus, including methicillin-resistant strains. Upon launch, FIRVANQ™ will be the only FDA-approved oral vancomycin solution treatment commercially available, improving patient access and reducing pharmacist burden by no longer having to compound oral liquid formulations. CutisPharma, Inc., based in Wilmington, Mass., is privately held, specialty pharmaceutical company that has been the industry leader for 20 years in providing innovative solutions to pharmacists. CutisPharma’s FIRST® Unit-of-Use Compounding Kits have benefited millions of patients who are unable to swallow conventional oral dosage forms such as tablets and capsules and whose needs are not served by commercially available therapies. The Company’s first FDA-approved Kit, FIRVANQ™, will allow significantly broader patient access, convenience to pharmacists and patients alike by reducing the need for compounding, and serve as a potential cost-saving option to existing treatments. For more information, visit: https://cutispharma.com/. 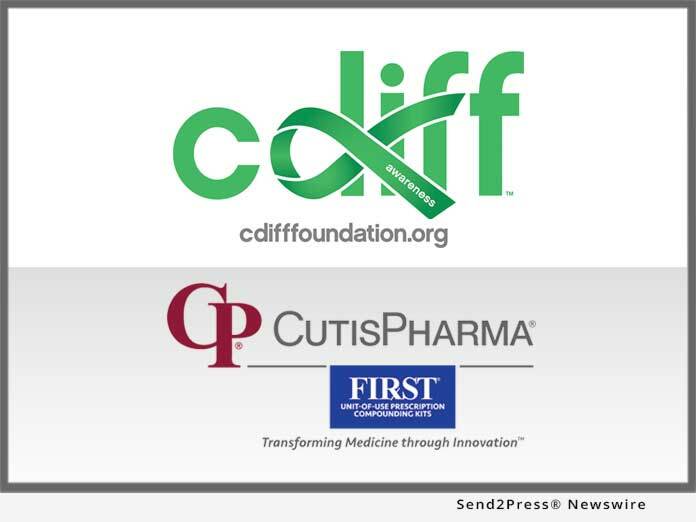 "CutisPharma has been a committed partner of our Foundation and has furthered our mission to increase C.diff. awareness and support the research and development of new treatment options," said Nancy C. Caralla, Foundress and Executive Director of the C Diff Foundation.